The study, spearheaded by Dagfinn Aune from NTNU and Imperial College London, shows that 7.8 million deaths worldwide could be prevented each year if people ate more fruits and vegetables. Aune says the more you eat, the lower the overall risk of heart disease, stroke, cancer and premature death. “The results support recommendations to increase the amount of fruits and vegetables people eat,” said Aune. “We see a gradual reduction in risk with increasing consumption, so a low or moderate intake is better than not eating fruits and vegetables at all,” he said. It should be no surprise to anyone that eating fruits and vegetables is linked to better health, but none of the previous analyses that have established this link have examined how much you should eat to increase health benefits. The meta-analysis undertaken by Aune and his colleagues is by far the largest on this topic to date. The researchers looked at a total of 142 publications from 95 different population studies that studied the relationship between consumption of fruits and vegetables and the subsequent risk of chronic diseases. Each analysis included information on several hundred thousand people. “The risk of heart disease, strokes and premature death decreased by 10.8 per cent for each 200 gram increase in consumption of fruit or vegetables—up to an intake of 800 grams,” Aune said. Many national health authorities recommend that people eat at least “five a day,” which corresponds to approximately 500 grams of fruit and vegetables. In other words, the new analysis suggests that the risk of disease and premature death can be reduced even more by eating more fruits and vegetables than recommended. Do fruit and vegetables really have a protective effect? People who eat lots of fruits and vegetables are more likely to be healthy in other ways. more likely to avoid large amounts of alcohol and red or processed meat compared to people who eat less fruit and vegetables. Perhaps that means there are factors other than fruit and vegetables that are behind the reduced risk of cardiovascular disease, cancer and premature death that the researchers found? “Many, but not all of the studies in our analysis adjusted for these factors. We saw pretty much no significant difference in the results of studies with and without this kind of adjustment. Nevertheless, we cannot completely exclude that the results are due to factors we have not been able to take into account,” says Aune. The researchers also calculated how many premature deaths that could be prevented each year worldwide, if everyone ate 800 grams of fruit and vegetables every day. The figure they arrived at was 7.8 million deaths each year. If everyone ate 500 grams a day, that figure would be 5.4 million deaths. Two to four million deaths related to cardiovascular disease could be prevented a year if everyone ate optimal amounts of fruits and vegetables, the researchers said, while for cancer that number was approximately 660,000 deaths. Which fruits and vegetables protect most, and why? The meta-analysis is also the first to examine subcategories and individual varieties of fruits and vegetables that can be connected to a reduced risk of various diseases and premature death. Apples and pears, citrus fruit, fruit juice, green leafy vegetables and fruits and vegetables rich in vitamin C were among the types of fruit and vegetables that were linked to a reduced risk of cardiovascular disease and premature death. Canned fruits, however, were linked to increased risk of cardiovascular disease and premature death. “However, we need more studies on specific types of fruit and vegetables because relatively few of the studies in our analysis had looked at this issue,” said Aune. Fruits and vegetables contain fibre, vitamin C, antioxidants, potassium and flavonoids, all of which have been directly linked to good health. A high intake of fibre can help lower cholesterol, blood pressure and inflammation in the body, improve blood vessel function and prevent people from becoming overweight and obese. Antioxidants can prevent free radicals and other reactive oxygen species from damaging the body’s genetic material. 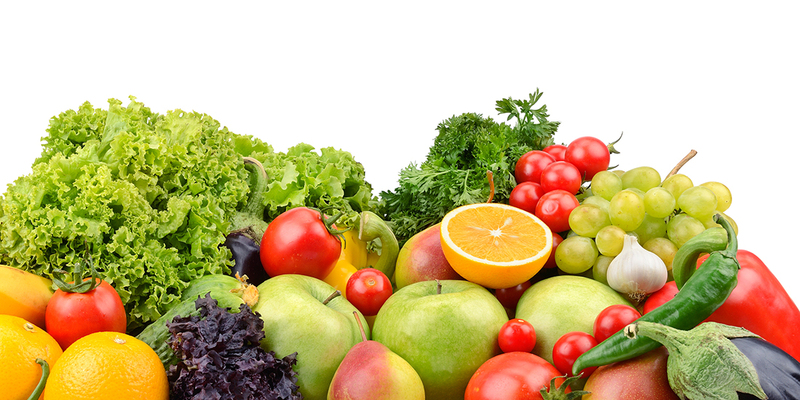 Fruits and vegetables can also have a positive effect on bacteria in the intestines. “Supplementing with antioxidants and vitamins does not have the same beneficial effects, so probably it’s the whole package of beneficial substances that you get from eating fruits and vegetables that acts synergistically,” said Aune, who was recently awarded his doctorate from NTNU. He is now an associate professor at Bjørknes University College in Oslo. The tables below show the extent to which a higher intake of fruits and vegetables – both combined and separately – is associated with a reduced risk of various diseases and premature death. The category “cardiovascular diseases” includes heart attack / angina and stroke overall, while the optimal amount of fruit and vegetable consumption in terms of the lowest risk for each disease is specified in each column. All results are statistically significant. Reference: Fruit and vegetable intake and the risk of cardiovascular disease, total cancer and all-cause mortality–a systematic review and dose-response meta-analysis of prospective studies. Dagfinn Aune et al. International Journal of Epidemiology, advance access, published online 22 February 2017.